For the second time in a year, a law firm representing Michael Jackson has quit, saying it hasn't been paid and can't get the pop star on the phone. A federal judge in Manhattan on Monday gave attorneys at Wachtel & Masyr permission to withdraw from a case in which a financial company claims the singer owes it $48 million. In a letter to the judge, attorney William Wachtel described his trouble communicating with Jackson through a series of representatives. Over months, Wachtel said, he dealt with the singer through one intermediary after another, only to be informed repeatedly that they were quitting or had been fired. The last straw came, he said, when Jackson dropped out of contact with the firm entirely after his only face-to-face meeting with his lawyers in June, at the luxurious Hotel de Crillon in Paris. At the session, Jackson apologetically promised to be in better touch, Wachtel said — and that was the last they heard of him. "Unfortunately, Mr. Jackson has failed to respond to every e-mail and telephone message left for him over the past four weeks," Wachtel said. 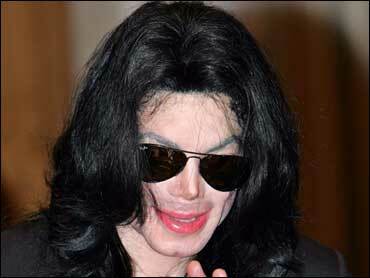 A Los Angeles lawyer for Jackson, John Branca, didn't immediately return a telephone message Tuesday. The legal team is the second to quit the case. Attorneys from the firm of Latham & Watkins quit in November after reporting that their bills weren't being paid and that it was impossible to communicate with Jackson. U.S. District Judge Kevin Castel said Monday that he would allow Jackson to reorganize his legal team but that he wanted the parties back in court Sept. 5. The judge said Jackson must hire a new lawyer by then or appear in court himself. Next up for Jackson could be New York attorney L. Londell McMillan, whose clients have included Prince and Stevie Wonder. Jackson's representatives announced in late June that McMillan had been hired to coordinate the singer's legal affairs. The case involves the Prescient Acquisition Group, which claims it helped Jackson refinance $272.5 million in debt owed to the Bank of America and arrange $537.5 million in financing related to his ownership interest in the Beatles song library. It is one of a number of recent suits involving Jackson and former business associates. Last month, a California jury awarded a former Jackson adviser $900,000 related to work he did on videos intended to rehabilitate the pop star's image. The jury awarded Jackson $200,000 in a cross-complaint.